Home inspectors should be investing time to inspect your roof! 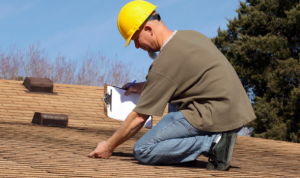 Roof inspections are an essential part of a complete home assessment. What makes the roof so important is its place in the house and its function. Roofs provide the physical barrier to any house and in an event of it being compromised the entire structure of the house is put into jeopardy. This, along with a couple of other reasons, makes regular roof inspection so important. Find out why roof inspections matter by reading the full post! Once the damage has been done, there’s no running away. You’ll need to bring in a team of professionals to make repairs or even a full replacement or else your entire house will suffer. To avoid the untoward process of big repairs and the massive costs that come with roof replacements, it’s best to schedule timely roof inspections. A roof inspection will help you pinpoint exactly what the problem is and help you make the repair promptly. Chances are by this time the repairs needed won’t be as costly as they would have been if left unattended. A roof inspection won’t merely check the status of the shingles of your roof or the flashing it will also point out any issues with the chimney, the skylight or other similar functioning roof elements. To make sure all of these are functioning to their optimum capacity, a thorough roof assessment can help you immensely. Regular roof inspections will help estimate the tentative time you have left with your roof. For most roofs, it’s about 15 to 20 years but a professional estimate will help you make proactive arrangements and plan ahead. If your roof needs to be replaced in a few months, a roof inspection will give you enough time to plan your finances and the company you want to hire. The most popular time of the year for roof inspections is the fall and winter season but it’s always good to have one scheduled in the spring season (before the rainy days) as well! Make sure you hire a certified Des Moines home inspectorthat will thoroughly do this work. Please consider Rightway Home Inspections for your next project!!! Great video breaking down the details of a thorough roof inspection!!! The bedroom is a place that is synonymous with peace and relaxation. 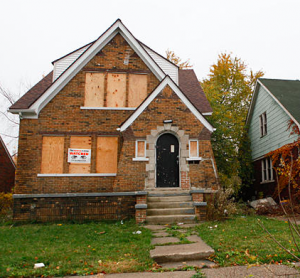 Any structural defect or potential health hazard in this humble abode can be hellish. Unfortunately, there are a bunch of common bedroom defects that a good home inspection company in Des Moines find upon inspection. Not sure what they are? Keep reading for the top 3 common bedroom defects your home inspector finds! We all know how crucial smoke detectors can be when it comes to preventing a fire or a smoke. However, despite its pivotal role in homes, many home inspectors find them missing in the bedrooms of the house. In fact, in most homes, only one smoke detector is installed in a central position of the house, most commonly the living area. If you have a bedroom with a fireplace or with any possible gas source, a smoke detector can save your life. Modern detectors also have a carbon monoxide detector inside them for even better safety measures. Mold is a potential health hazard for those who are sensitive to it and those with asthma and similar breathing disorders. Mold and mildew flourishes in damp, moist conditions and although it is less common in bedrooms compared to the bathroom and basement, home inspectors sometimes find it growing near the windows. If left untreated, the mold can grow rapidly and cover the walls and the ceilings. Plus, the longer you delay mold removal, the costlier it will be. Along with getting mold treated, it is also important to investigate the underlying cause of it. This is usually a leak in a pipe or other similar conditions that cause a buildup of moisture in the room. Overtime, the plaster on your walls can begin to crack and form gaps and keys. The plaster can crumble and break, leaving behind a naked, unimpressive wall. This is a common home inspection finding in bedrooms of old houses. Humid conditions also accelerate the plaster cracking. It’s important to fix this as quickly as possible or else the cracks will keep progressing. Many people tend to intermix home inspectors and building inspectors assuming that both of these professions essentially mean the same thing. But home inspectors have a quite different job compared to a building inspector. So the next time you need a home inspection done, make sure you know you’re hiring the right person for the job! What do Building Inspectors Do? Building inspectors are appointed by the town and always have a license to work. What they do is ensure that a new building, residential or commercial, is built upon the right standards and the legal building codes. Building inspectors also check whether the building contract is being followed by the builder in question and the boundary or zoning regulations are also followed. A building inspector formulates a report in the end and submits it to the authorities who take any further action if required. Contrary to building inspectors, home inspectors (HI) are not employed by the government but the individual house owner or potential home buyer themselves. HI’s also don’t necessarily need a license; some places may require one while others may not. Instead of making sure the building follows the building codes and regulations, check whether the home is safe and free from potential hazards. In an event of a building code not being followed, the HI is not responsible to report it to the authorities. The basic job of an HI is to pick out any problems or damages with the house that can put its structure and the people in it at a risk. This includes inspecting roof shingles, checking for leaks, drainage, appliances, HVAC and electrical and plumbing systems. HI’s will also check for mold growth, improper grounding or non-functional switches. Depending upon the type of work you require, hire a qualified home or building inspector to get the job done properly! Local to Des Moines and looking for a home inspector? 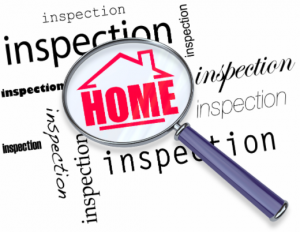 Call Rightway Home Inspections today! 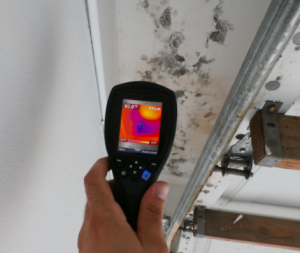 Find out everything you need to know about a mold inspection. Have you ever experienced strange symptoms of a flu or cough with an unexplained reason? It could be the mold growing in your bathroom. Mold and mildew are notorious for causing nasal stuffiness, coughing, wheezing, watery eyes and skin irritation in people who are sensitive to it. If you or a family member are in the list, it’s best to schedule a mold inspection as soon as possible before the mold gets out of hand. A mold inspection isn’t only of one type. A good, professional home inspection company will have at least 4 methods to confirm the presence and extent of growth of the mold. Because mold takes time to grow, simple visual confirmation might not be the best method of a mold confirmation. Other scientific techniques including swabs, bulk samples and air sampling are then called for. Air sampling is by far the surest and most sensitive method for confirming the presence of mold. This method involves checking the quality of air and measuring the amount of mold spores in the air. These mold spores are the causative agents behind the unwanted respiratory symptoms that come with mold growth. If air sampling cannot be performed, the crudest but sure way of mold inspection is by physically removing all furniture and articles from the suspected room to directly observe the slightest of evidence of mold. Mold typically grows in moist, humid areas. In your house, this would mean the basement, bathroom and attic are at the highest risk for getting infested by mold. Places where water can leak are the places you should suspect mold to flourish. While the individual cost varies house to house and company to company, you can expect a mold assessment and its subsequent removal to cost you more than $1000. The more the mold has spread, the higher the costs will be. That’s why all professionals recommend taking quick action against mold. The months of winter come with ridiculously low temperatures in some areas and when this temperature drops below the freezing point of water, it could become a house crisis for homeowners. Exposed water pipes are liable to freeze in cold nights of winter and this can include water flow, or worse, damage the pipe itself. Frozen water pipes are insidious. They appear normal in the daylight but freeze at night when the temperature is cold. 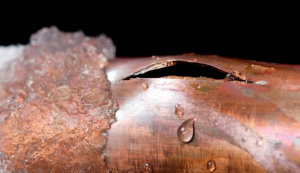 To prevent any unintended consequences, it is important to find out which water pipe is vulnerable to freezing and how to prevent it from happening. A qualified home inspector will be able to locate and tell you exactly which pipes need to be taken care of the most. So if you’re having trouble with frozen water pipes, the best strategy is to contact a professional. Which pipes should I be worried about? Any water pipe that is partially or completely exposed to the cold air is a pipe you should be worrying about. Pipes near the crawl space or the basement suffer from abnormally cold temperatures and are the most likely to freeze over in the winters. Pipes with poor or damaged insulation, even if they are not exposed to the air, are at a risk of freezing. Therefore to completely rule out the chances of a pipe freezing at your home and creating a water crisis, it’s a good idea to investigate all pipes. Pipes that are at a risk of freezing need extra insulation or protection. An old hack is to install a light bulb or create an unvented heated crawl space. The heat from the bulb is enough to keep the pipe from freezing and as a bonus it will keep the floor above the pipes warm. However, installing bulbs is not the safest of methods and doesn’t always come cheap. Call your local Des Moines home inspector for a thorough inspection of your water pipes and for the best advice to prevent them from freezing! Home Inspection with a Drone: Is it worth it? Should your home inspector use a drone? Drones have taken the tech world by storm over the past few years and we’re not complaining. When it comes to capturing spectacular aerial views, these little flying robots can do wonders. While drones may be a videographer’s best friend, can the same be said for a home inspection team? These days, some companies make use of drones to investigate and inspect homes, skipping all the manual exertion involved. But with the ease comes the cons. 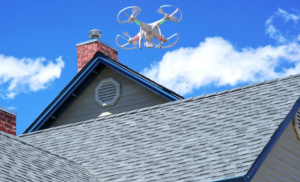 Learn why drones might not be the best option or why they might be when you’re hiring a home inspection company for your house! Drones are ideal for a roof inspection. Examining roofs with a drone prevents the inspector from walking and possibly damaging the shingles on your roof. Plus, it’s a safer option as well. Some home inspectors might not even bother to climb on the roof and inspect with binoculars instead. To make the job easier, a drone can come in handy with roof inspections. Assessing a roof with a drone will also keep the heavy ladders and other similar items away. While no camera in the world can be compared to the actual eye, a high quality drone can capture a high definition view of the roof and give the inspector a good overall idea of the condition of the roof and any apparent damages. The video can also be recorded to view later in case something has been missed out on the initial investigation. Perhaps the biggest downside to drones is that they don’t come cheap. A good drone will cost anywhere over $1000 and this would mean the cost of your home inspection will naturally elevate as well. Plus, if you don’t need a thorough roof inspection done, you really don’t need a drone inspection after all. It’s important to weigh the advantages of a drone home inspection versus its disadvantages before making the final decision with your prospective home inspection company in the Des Moines area. Abandoned and vacant market hit the property market occasionally. While the frequency of these homes in the real estate business isn’t as high as homes that have people living in it with well-maintained rooms, furniture and walls, they still exist in the marketplace. If you have your eyes set on buying a house that has been vacated for years, here are some things you should know what your prospective home inspector will do while assessing the status of the abandoned house. An important element in a home inspection is the utility service. Without electricity and water, there are tons of aspects in the house that your home inspector won’t be able to inspect. Before starting the job, your home inspector will ask you to make sure if the utility services in the vacant home are active. If they’re not active, you’ll have to talk to the owner of the property to get them fixed. Once the home inspector arrives and the utility services are still not functioning, it will go into the inspection report and many important elements of the home inspection will have to be skipped. So a prerequisite for getting an abandoned home inspected is to make sure the power is working in it. A vacant home is an ideal habitat for animals and pests to make a nest inside. These pests not only include spiders, cockroaches, rodents and ants but other larger animals like raccoons, cats and dogs may also be living inside. The home inspector will inspect for any and all animals inside and may ask to call the animal control or a shelter for the animals living inside. Sometimes people who have been struck by a disaster or those who don’t have a home of their own find shelter in an abandoned home. You home inspector will cautiously check for anyone who has moved in or if there is any evidence of someone living inside. In an event that there is evidence, the property owner or the local police is called for help. If you are looking for an affordable and professional home inspector that serves the Des Moines area, please consider scheduling with Rightway Home Inspections Inc.
Top kitchen problems identified during our home inspections in Des Moines. Kitchens are one of the key rooms in a house and naturally, one of the most used one as well. Building a kitchen requires expertise but despite the perfectionism you want to achieve, there’s always a chance of something lacking. Here are the top things home inspectors find wrong in the kitchen! The thing about built-in appliances is that the measurement isn’t always right. No matter how hard you try to make the kitchen as per the measurement of your appliance, there’s always human error or a technical error that ruins things. Often home inspectors will find a refrigerator not properly leveled or aligned which can cause functional issues. You may complain of the door not properly shutting or water leaking on the floor from underneath the fridge. To avoid these frustrating outcomes, it’s important to make sure your appliance achieves the perfect balance. The dishwasher is an excellent machine that lets you relax once a giant feast has been done with. Unfortunately one of the most common complaints with this appliance is that it doesn’t drain properly. Your home inspector will be able to properly investigate whether it’s a clog or a technical fault that’s causing the issue. In most cases, it is a clog and it is easy to fix. Leaky faucets are a common sight in both kitchen and bathrooms. Apart from the fact that precious clean water is being wasted, a leaky faucet can seriously take a toll on your utility bill. A home inspector can easily locate the problem with your leaky faucet but it is the plumber that needs to be called for the repairs in most cases. 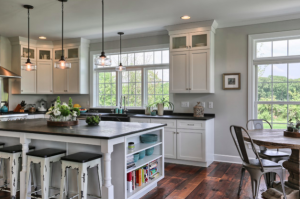 A reputable home inspection company in Des Moines will quickly pick up any and all faults in your kitchen that may not be evident to you right now but can have long-term effects. Call your home inspector today to get your kitchen inspected so repairs can be done as soon as possible! Check out yesterday’s post here. Why it is important to replace your old air conditioner. 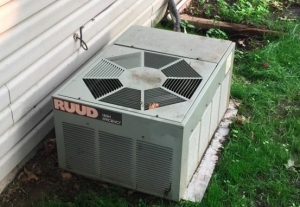 There’s not a high chance you’ll find old air conditioners being replaced but if you’re a responsible homeowner, you’d know how important replacing old air conditioners is. Upon home inspection, the home inspector will tell you how long the air conditioner will last and how soon you need to replace it. Not sure why we insist on getting your air conditioner inspected and possibly replaced, check out these important reasons below! Old air conditioners are notorious for leeching electricity and generating massive utility bills. If your air conditioner is aging, you can guess how long it will hold up by the change in your electricity bills. If you’ve been noticing oddly high bills recently, there’s your excuse for getting your air conditioner inspected and, if needed, replaced. Old appliances tend to make strange honking, buzzing and clunking sounds that can be seriously annoying. If your air conditioner is making the same noises, there’s a chance it needs to replaced (or perhaps repaired!). To be on the safe side, get it professionally inspected by your home inspecting company. The smell of moisture and dampness is a common phenomenon with old air conditioners. This stale odor can also be experienced when your appliance hasn’t been used for a long time. But if it is regularly used and still generates a stink, there could be a problem with it. If left unchecked, the entire house could smell like a swamp and that’s the last thing you want! Be it a luxurious inverter air conditioner or window ACs – all of these appliances have a certain age limit. With most air conditioners, the age is around 15 years but each individual model’s age will vary. Once the expiry date has come, there’s no reason not to get it replaced! Looking for a professional Des Moines home inspection company to help you make sense of your current A/C system? Call Rightway Home Inspections today! Make sure your home inspector checks your carbon monoxide levels. 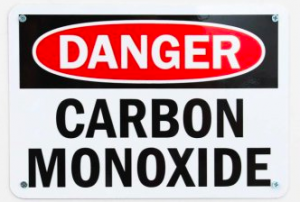 Carbon monoxide poisoning has fatal outcomes and is considered a silent killer. Unfortunately, it is also one of the most popular methods of committing suicide. This hazardous gas is produced due to incomplete combustion of any gas source. This could be your fireplace, the heater, the charcoal grill or practically any gas outlet. In spacious, well-ventilated areas, carbon monoxide build up rarely occurs but when there is a lack of air and space, carbon monoxide can be life-threatening. A thorough home inspection will not only include finding out apparent damages to the home but also any safety hazards associated with carbon monoxide buildup. It is always recommended to install carbon monoxide smoke detectors in the house to keep the level in check always. A home inspector will measure the level of the gas with their own device as well and tell you if your house is safe to breathe in or not. What makes carbon monoxide so harmful? Carbon monoxide is an invisible gas with no detectable smell unless the gas is mixed with an artificial odor from the source. The fact that it’s invisible makes it all the more deadly because it remains unidentified before it’s too late. Symptoms of breathlessness, numbness and lightheadedness begin soon when the blood levels of carbon monoxide become high. By that time only medical intervention and fresh air can help reverse the fatal effects. Since winters come with more usage of fire and gas, as well as closed doors and windows with poor ventilation, a case of carbon monoxide poisoning is more common in this season as compared to the summers. Proactive measures to prevent carbon monoxide buildup can go a long way. These measures include getting your HVAC appliances serviced annually, installing smoke and carbon monoxide detectors and scheduling a home inspection every other year or as recommended…You should also be wary of not leaving the gas open when it’s not in use or turning the engine of a parked vehicle in a closed garage on. If you are considering the purchase or sale of a home, and looking for a reputable home inspector in Des Moines that will bring you the peace of mind to the inspection process, look no further than Rightway Home Inspections Inc.!